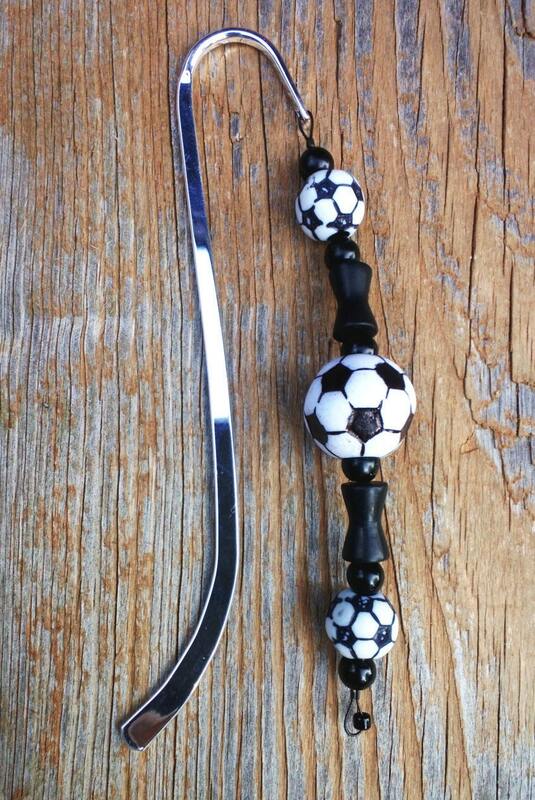 Make reading the GOAL with this awesome soccer bookmark! Designed with the authentic black and white colors. 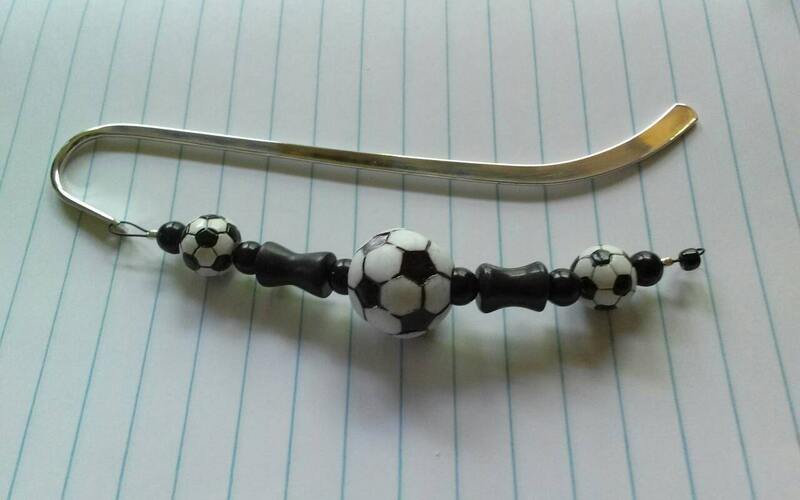 This is the perfect bookmark for that soccer lover and reader! Family and friends will be sure to get a KICK out this sports bookmark hanging from your book! Bookmark measures 5 inches long and is silver plated. Acrylic soccer balls are 18mm and 10mm.